What better way to beat those end-of-summer blues than with some back-to-school shopping? Make 2015 your most stylish year yet with these fashion forward school supplies! Whether you’re taking notes or passing them, you can keep your top secret writing utensils under lock and key with this stylishly secure pencil case. Ever get lost in seemingly endless pages of a textbook? Highlight the important parts as you go and you’ll be thanking yourself as soon as exam time rolls around! Pens and pencils or lipgloss and breath mints… cover all your bases and keep your everyday essentials organized in this charming clutch. Even if they aren’t for carrying textbooks, backpacks are the “it” bag of the season. The versatile vibe of this faux leather bag from Forever 21 will carry you from the classroom to a night out in style. Crazy about colour? Backpacks in bold prints and bright hues are out of this world. Go for a studious and sophisticated look with this classy studded shoulder bag. Sports fan? 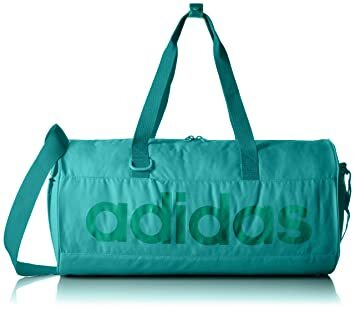 Show off your penchant for after school athletics with a super cute gym bag. Not a morning person? Cute eco-friendly coffee mugs (filled with coffee of course!) are a must for getting you through those early AM classes. Tell us how you really feel about that 10-page term paper! 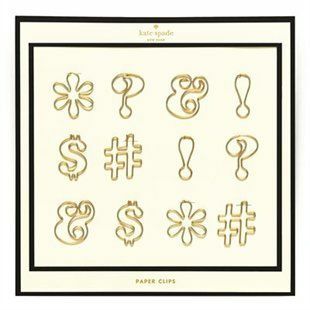 Master the art of self-expression with these sassy paper clips. 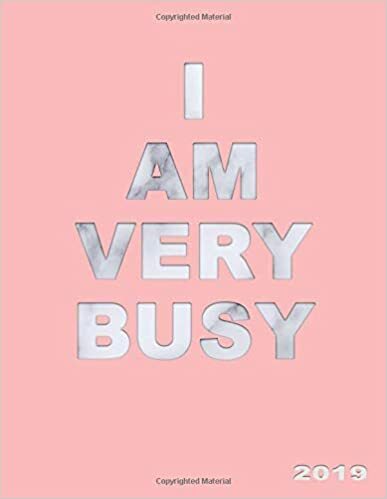 Lazy summer days will be a thing of the past when September rolls around and fills up your schedule with back-to-back classes, homework and extracurricular activities. Skip the stress and stay on top of it all with your very own day planner. What could be better than an eco-friendly outlet for mindless doodling? Spare the back pages of your spiral notebook and scribble all over this erasable binder. With crowded classrooms and hectic hallways, your locker is the one place at school you can really call your own. 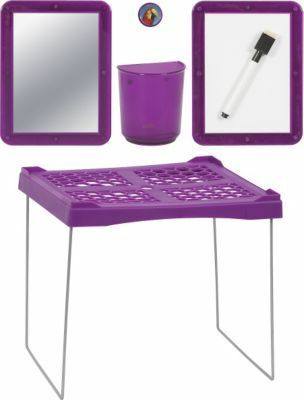 Make the most out of limited locker space with this set that includes a magnetic mirror, whiteboard, pencil holder and 10” shelf. Reminisce about your fabulous vacation while listening to your favorite songs of the summer with your besties. Ever notice how your phone battery seems to run out at the worst possible second? Stash this portable battery charger in your backpack for tech related emergencies. You can never be too prepared for the most important part of the school day… lunch, of course! Cafeteria trays have nothing on this adorable owl print lunch bag. We all make mistakes. Luckily, snazzy erasers make undoing those mistakes a little more fun! Ever cleaned out your locker at the end of the year to uncover random things you’d been looking everywhere for? This magnetic locker accessory will shine some light on what’s actually in there. What better way to unwind after class than by listening to a few of your favorite tunes? Hi-tech meets retro-chic with this adorable portable speaker. 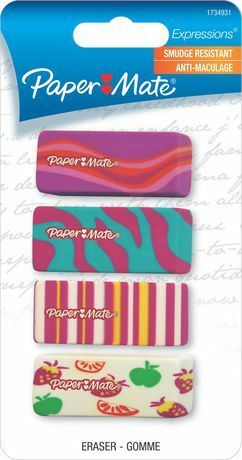 What are your must-have back-to-school accessories?